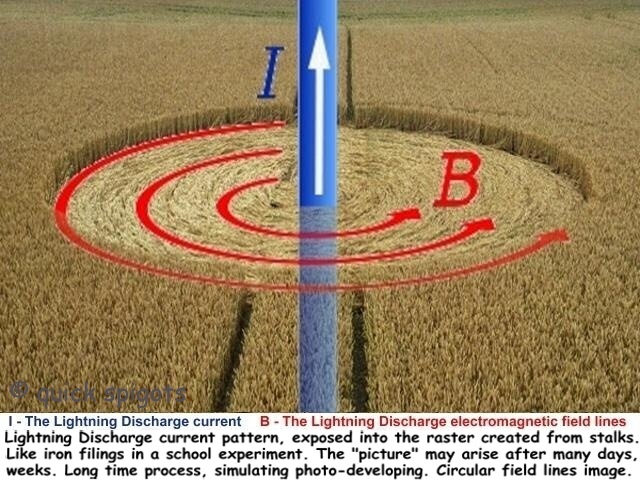 Crop circles - Lightning rods in crop fields. Explanation, decipher, decode, discovery, break code, explaining, decryption, puzzle out, scientific research. I loved school. I studied like crazy. I Maya Linwas a Class A nerd. Look deep into nature, and then you will undersAlbert Einstein tand everything better. 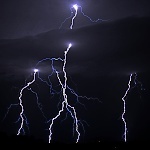 Lightning also caused all the observed irregularities in the crop growth, manifested in the picture as places with irregularly lodged (damaged, weakened) crop, or places where there the crop is just like "brushed" or inclined aside. 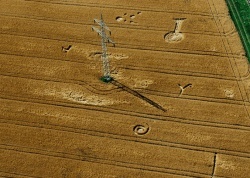 This is in fact one of the few shots of all the existing research and photography Crop Circles, where it is possible to observe apart from completely lodged (damaged, weakened) crop some previous phases of development lodging (damaging, weakening) that may precede long before crop flattened (damaged, weakened). Such images is possible count on the fingers. Much more detailed is or will be that phases explained in the main page and subpages of section Chronology, and are, or will be there also described in detail some other similar images. Image shown here displays crop already in considerable degree of ripeness, and areas only partially damaged or not at all. Not lodged (damaged, weakened), even if visibly damaged, in such condition already probably will last up to the harvest. Such cases, however, ale likely more less common. It is possible to almost sure declare that there is not the crop on the picture barley, because barley in the stage of maturity in which there is the crop on the picture, would be lying on the ground 20 to 30% of whole field area. On this page will be mainly concentrated considerable number of Crop Circles photographs, which are almost like lightning rods peppered with. 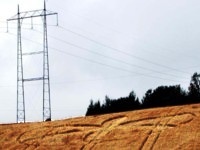 On some photos it looks like that the aliens were landing just right on the high voltage wires. 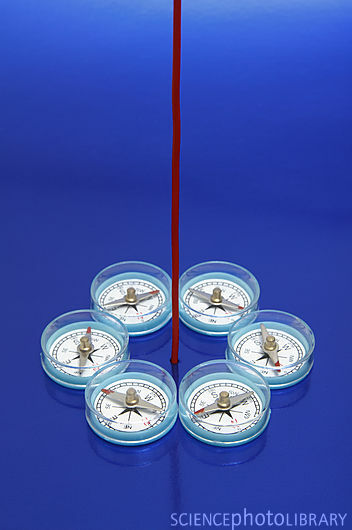 I'd rather be a lightning rod than a Ken Keseyseismograph. You don't take a photo, A.Adams you make it.